“We save 15 hours a month on data entry and thousands of dollars in labor. That means I have more time for my customers and my family” – Nathan Turner, Serial Entrepreneur. Brewing three businesses made Nathan’s accounting, and his life three times as complicated. With so many transactions to keep track of, Nathan spent thousands of dollars on an expensive Point of Sale (POS) software and hardware product hoping that it would solve his problems. But then the POS product became the problem. Despite his investment, the product didn’t work. As if that wasn’t enough, he’d tried other accounting software programs, such as Xero, but he found them limited for all of his caffeinated business needs. With a cup of freshly roasted coffee next to him, Nathan went online to research apps that could solve his problem. He soon found Square, a point of sale solution that had recently launched in the Australian market. Other business owners had already told him about QuickBooks Online, and when he saw that the Sync with Square app could connect the two, he decided to give it a try. He started with his café business. 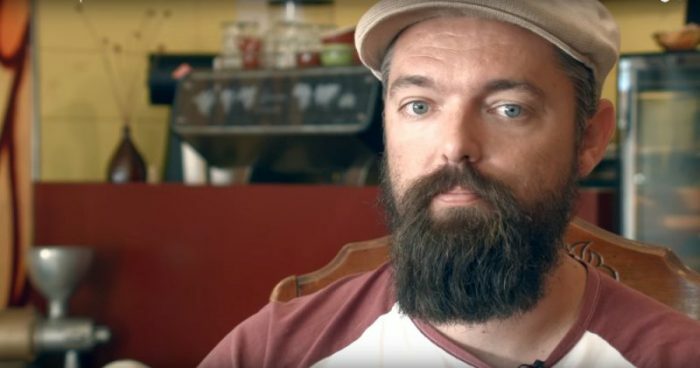 It wasn’t long before Nathan was up and running with his café transactions automatically being loaded from Square into his QuickBooks Online account with the Sync with Square app. Now Nathan can log onto the QuickBooks Online dashboard and see all the information he needs to run his business – without shuffling paper, entering data or having to check in with anyone else. Because the financials are updated daily, he has been better able to make data driven business decisions that have helped him generate more profits and reduce loss – important for any business but crucial for any company that sells perishable items. Nathan loves the new rostering payroll features in QuickBooks Online that make organizing his payroll for three different businesses so much easier. Nathan appreciates the flexibility and mobility of the product, but most of all he loves not having to do data entry. The integration has saved him 15 hours a month on average. He soon implemented it for Mighty Fine Coffee and The Bean Doctor. He uses the mobile app to review his financials when he is on the go, which is most of the time. The data entry time and resource savings across the three businesses have been tremendous.